Where many Connecticut taxpayers saw a lost benefit was the capping of state and local tax deductions at $10,000. Many taxpayers in Connecticut are seeing big changes in their tax liability in light of the new tax law. Many Connecticut taxpayers saw more money in their paychecks throughout the year as a result of the changes at the federal level. Andrew Lattimer, a tax partner at BlumShapiro, which specializes in tax advisory and consulting in West Hartford, says many taxpayers only realized the difference later in the year. 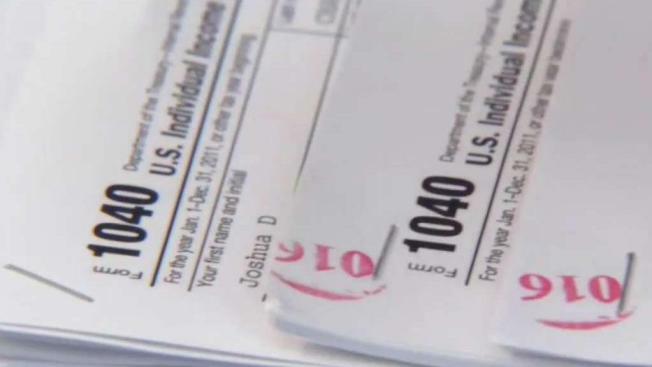 "I know there's a lot of people that are upset because they feel like they owe a lot of money and if they look at where their tax liability actually is, they'll see it actually might be lower,” said Lattimer. Lattimer explained that the main reason was that the federal withholdings tables were changed, which led to more people having less money set aside for federal tax payments. “It's just that the decreased withholdings during the year they probably had more one during the year so now it's managing that expectation of, ‘last year I got $5,000 but this year I actually owe $500, how did that happen?’ So it's understanding what happened during the year and now as you're looking at 2019, you might want to adjust your withholdings so you're not stuck in the same situation." Where many Connecticut taxpayers saw a lost benefit was the capping of state and local tax deductions at $10,000. Previously, Connecticut taxpayers could deduct the local property taxes and their individual income taxes from the federal taxes. With the cap in place, that meant many would have to pay more in taxes on their homes which are often valued high, and then lead to higher tax bills. “If you think about, most people who have a house in Connecticut, most people are close to that $10,000 just in property taxes alone, you know, between the car and the house alone, now your state and local income tax really gets you to that $10,000 and you're well above it,” Lattimer said. He added, “because you're capped at the 10, a lot of the people I saw this year actually were using the standard deduction, might mean some charities or that mortgage interest, maybe that doesn't, it becomes not deductible whereas in the past it was." Senate Democrats in Connecticut criticized the federal tax changes, arguing that wealthier residents received breaks that the middle class did not. "There's something wrong in the United States of America when Middle Class families are struggling so to meet their obligations to take care of our society and I think the transfer of wealth to the very wealthiest in our state and in our country is a huge mistake,” said Sen. Julie Kushner, (D – Danbury). Sen. Len Fasano, (R – North Haven), responded to the Democrats’ press conference, saying the event was a distraction.